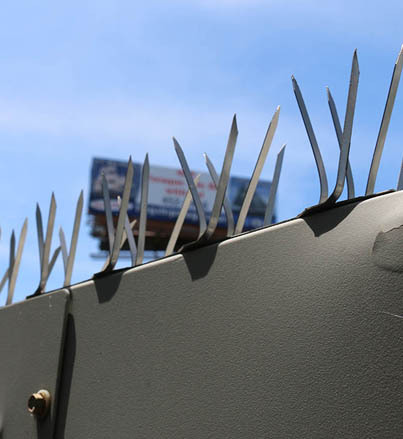 Bird Spikes, and American Made Bird Control Products. Use on roof ledges, window sills, signs, trusses, beams, and more. 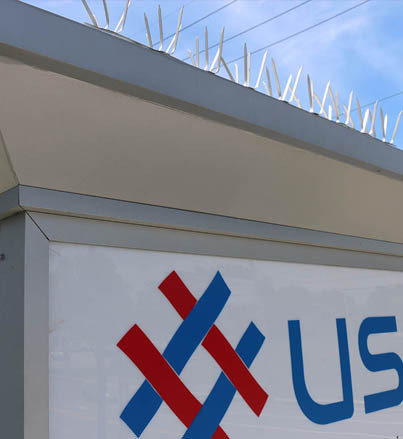 Our USA made pigeon and pest bird spikes provide effective pigeon and bird control by preventing pigeons and birds from landing and roosting on buildings, monuments or signs. Use on roof ledges, window sills, trusses, beams – wherever pigeons and birds are roosting. 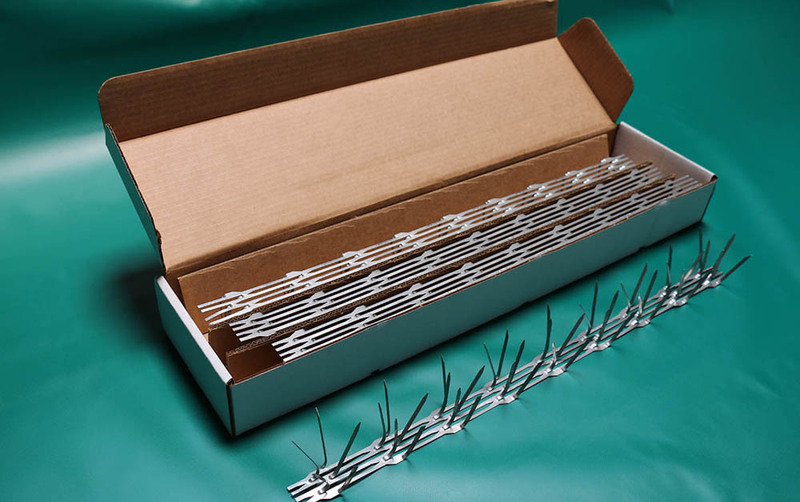 Pigeon and bird spikes apply quickly and easily, are harmless to birds, environmentally friendly, virtually invisible, and are long-lasting. 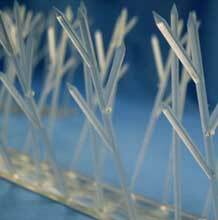 We are so confident about our birdguard bird spikes that we extend a lifteime warranty on bird spikes. Bird Spikes: Stop birds from roosting with these landing inhibitors. Visual Scare Devices & Barriers: Better than a scarecrow, use in fields, orchards, gardens, etc. 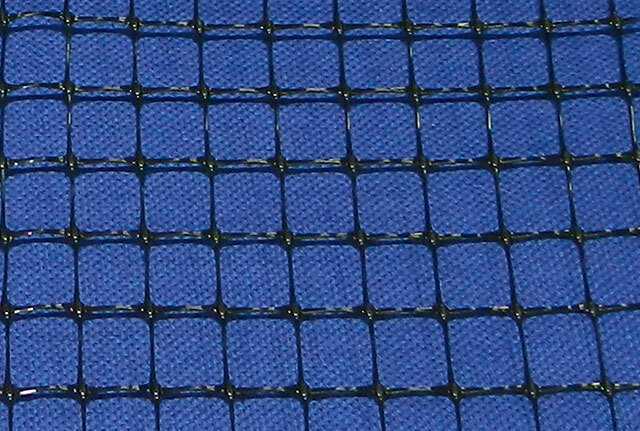 Many mesh sizes and styles, and a wide variety of net sizes. covers up to 8 acres. Alarm calls actually recorded in the wild, covers 5 to 7 acres. Drives birds and animals away. Ultrasonic Bird Repellers: Birds hear it, you don't! Four speakers project ultrasonic sound waves in all directions. Adjustable pitch and sequencing. 110V only. Specially designed for outdoor use, programmable, 110V or 220V.